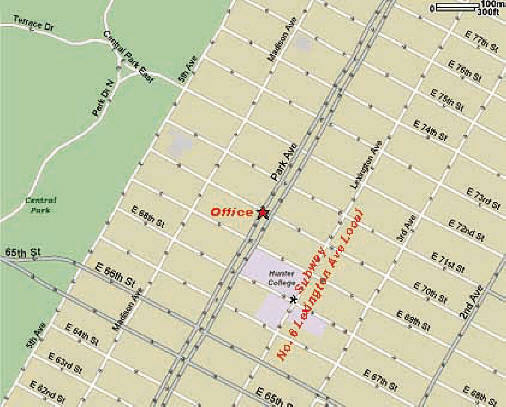 Our office is located at 718 Park Avenue, at the NW corner of Park Avenue and 70th Street. The Lexington Avenue Local No. 6 Train subway stop is located at 68th Street and Lexington Avenue. For further directions please contact the office at 212-734-2411.